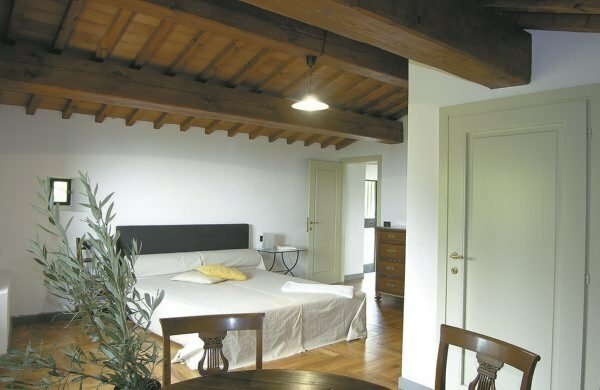 Renovated farmhouse situated in the hills of the Mugello. Peaceful position and broad views of the surrounding countryside. Renovated farmhouse situated in the hills of the Mugello. Peaceful position and broad views of the surrounding countryside. The house is surrounded by a large fenced-in garden where you will find the swimming pool (6x12)(06/05-30/09) with sun terrace. Access along 500 m of dirt track road (steep) not suitable for sport cars or large cars. Reasonably comfortable furniture. Central heating. Baby-bed available. Parking. ACCOMMODATION: (200 m2) Gr. fl. : entrance, lounge with fireplace (TV), kitchen (oven, freezer, dishwasher, microwave, washing machine) and access and to a large equipped terrace. 1st fl. : 1 double bedroom, 2 twin bedded rooms, 1 bathroom with shower, access to an equipped terrace. 2nd fl. (attic): lounge with double sofa bed (TV and billiards), 1 double bedroom, 1 bathroom with bath and shower.